Register now for future specials. Rain, shine, or snow, it’s always a good day to go racing at Autobahn Indoor Speedway & Events. Its two racetracks reside inside of a 60,000-square-foot warehouse, outfitted with everything you need to enjoy a day of friendly competition. 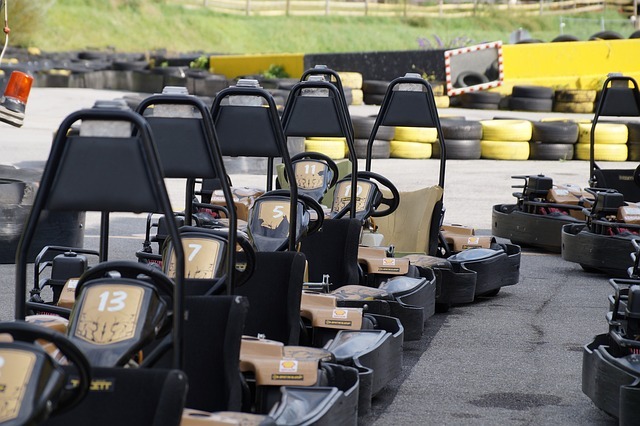 This, of course, includes state-of-the-art go-karts. Autobahn Indoor Speedway imports its go-karts from Italy, and they can reach speeds of up to 50 miles per hour. They also boast top-notch safety features, so you’ll feel comfortable as you navigate hairpin turns. Autobahn Indoor Speedway showcases two distinct racetracks, the Monaco and Le Mans. Both offer their own challenges, but the Monaco features more twists and turns to really put your driving skills to the test. Come to the indoor speedway on a rainy day and enjoy some active fun with friends.